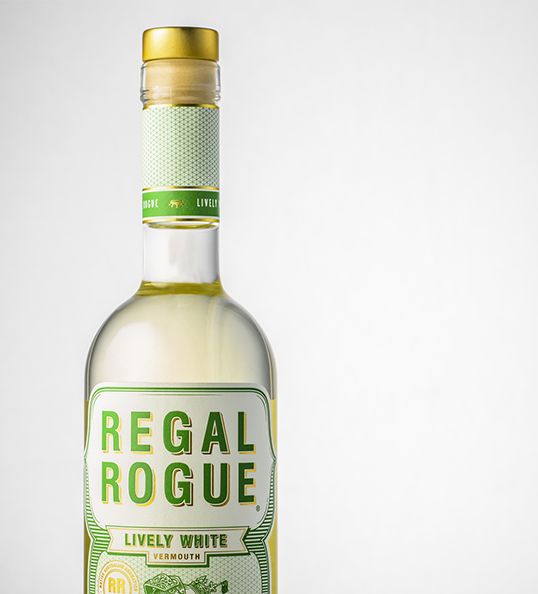 “Regal Rogue is leading the vermouth renaissance by uniquely marrying a daring selection of native Australian aromatics with Hunter Valley wines. 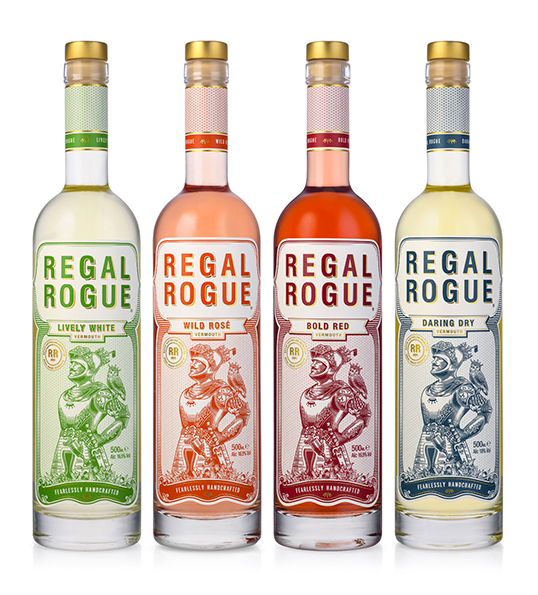 Squad Ink has been proudly shaping the Regal Rogue brand since it’s debut in 2011. 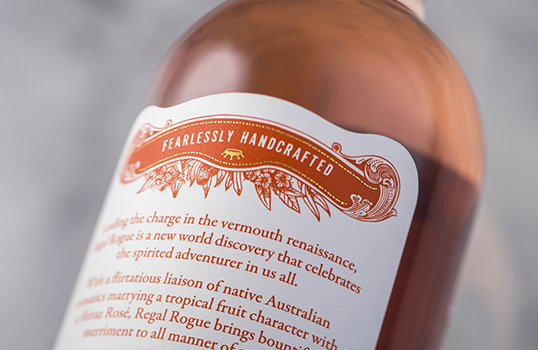 Four years on and this Australian disruptor is moving into a new and exciting era with the release of the family of Rogues: Lively White, Wild Rosé, Bold Red and Daring Dry. 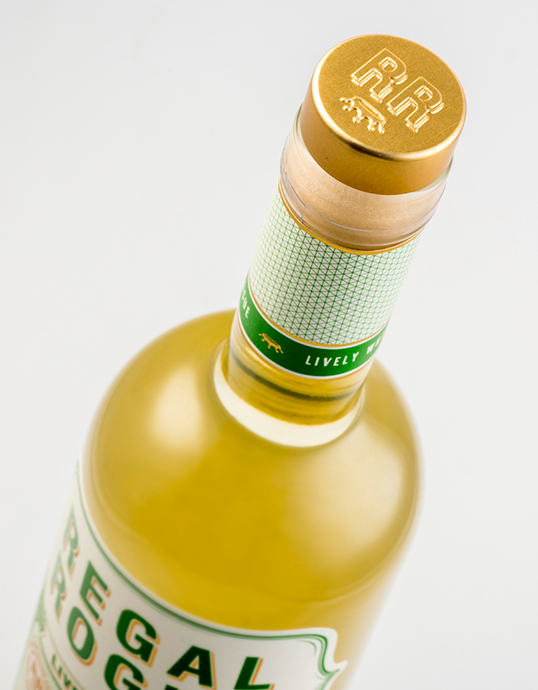 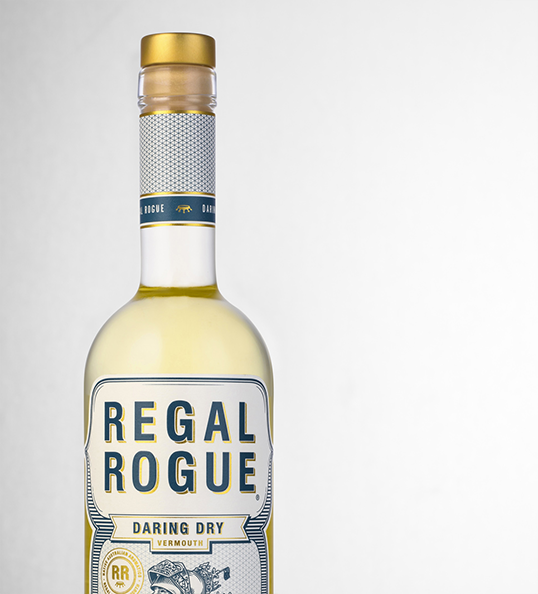 The Regal Rogue brand has received an amazing response, rejuvenating a dusty alcohol category with a fresh and innovative approach. 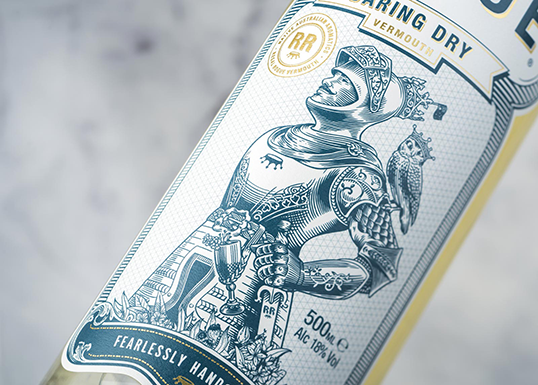 From the beautifully detailed label to the cleverly crafted launch material, the brand takes shape around a charismatic knight and his devoted owl companion. 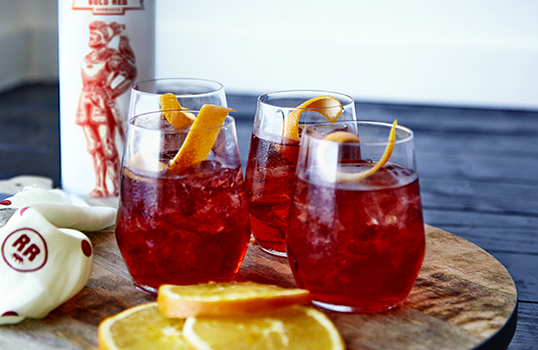 Achieving the right balance between the old and the new was paramount. 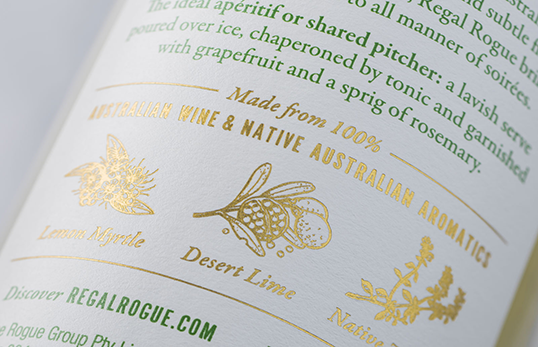 The etched illustrative style allowed us to develop the traditional cues and build a credible brand aesthetic, where the bold use of colour and copy allowed us to unleash the youthful spirit of this Australian disruptor.